I’m a fan of Jurassic Park, like any ordinary mortal. 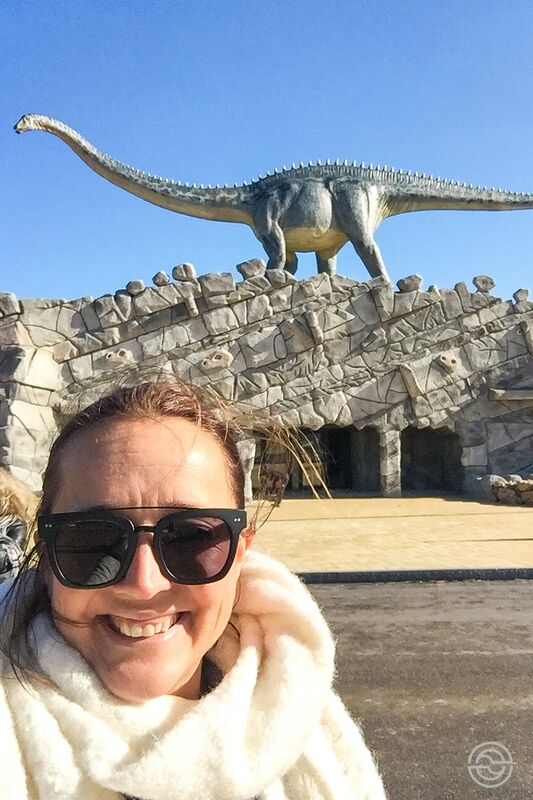 So when I heard of Dino Park, an open space with a hundred dinosaurs in full size, I couldn’t help but remember the scenes of Steven Spielberg’s blockbuster. 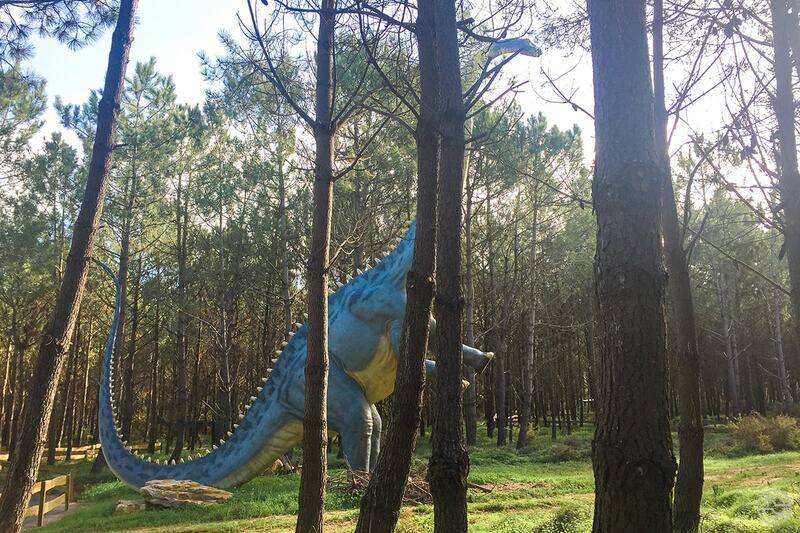 Located in Lourinhã, land known as the Capital of Dinosaurs, this new museum occupies about 10 hectares of vegetation and loads of history. 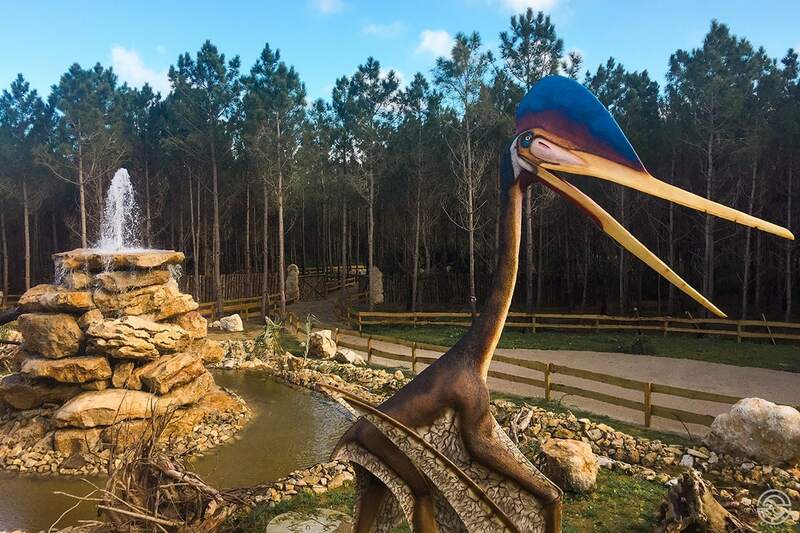 The arrival at the Dino Park is by the suggestive Rua do Vale dos Dinossauros (Dinosaur Valey Street), in Abelheira, 5-10 minutes from the center of Lourinhã, at the end of which you will see the entrance to the park, guarded by a huge dinosaur. You can’t miss it. After going through the ticket offices, you enter the museum, which stores the all the artifacts that used to live in the small hall in the center of the village. The new space is airy, and there’s even a room where paleontologists are working, for everyone to see. Real bones, archaeological finds, replicas of various species tell the tale of these animals and serve as an introduction to what follows. 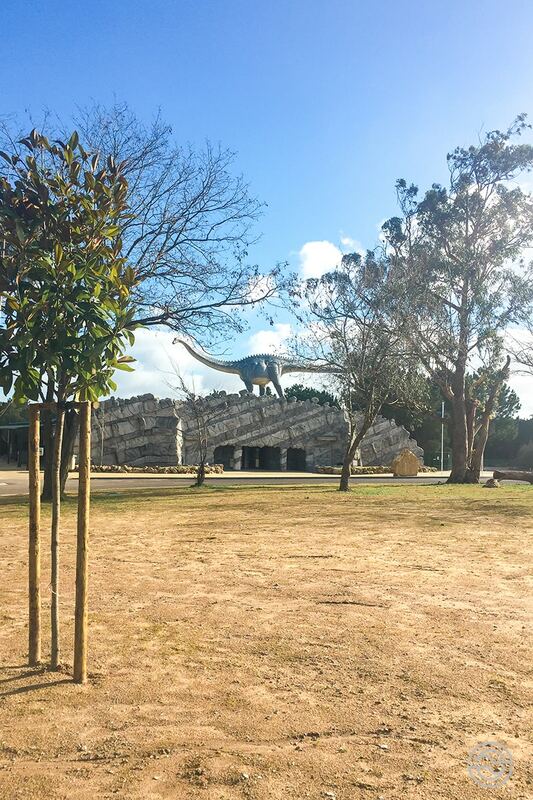 Leaving the museum, the visitor enters the vast enclosure of the Dino Park. Water, vegetation, fences and information panels everywhere, and of course, 120 full-sized animals that spread through four routes. Each path represents the four most significant periods of Earth’s history. 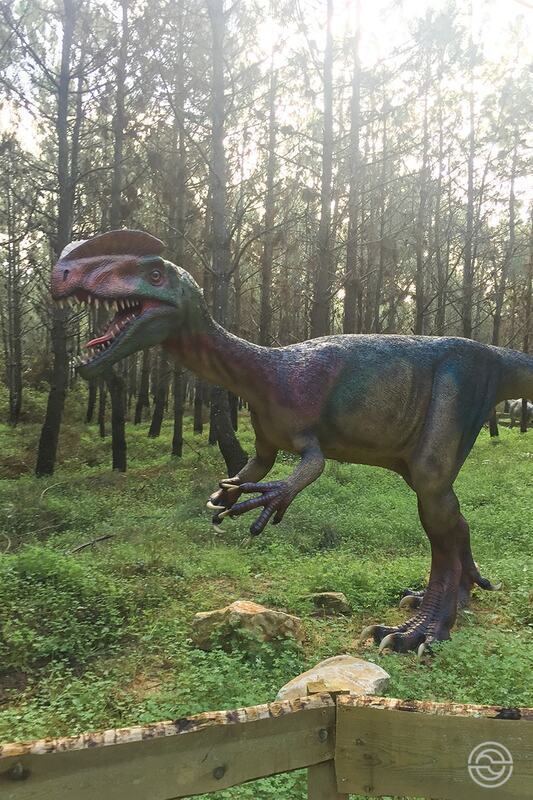 You won’t be calling this place the “Portuguese Jurassic Park” because the Jurassic is only one of the periods portrayed. It also includes the Paleozoic, the Triassic, and the Cretaceous. These are some mighty names with fascinating creatures. The Dino Park dinosaurs don’t move, not because it was an impossible task, but so as not to scare the younger ones. After all, this is a park for the whole family. 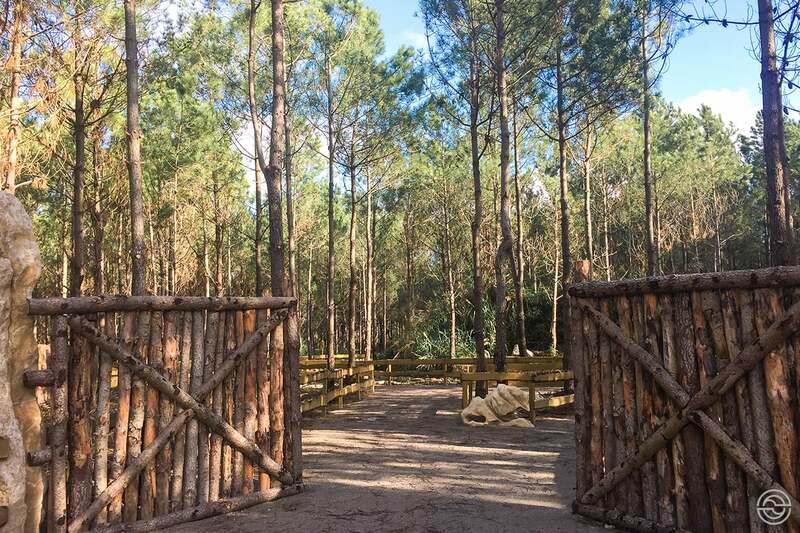 And speaking of the younger ones, waiting for them is an area full of sand where they’ll be able to excavate a giant dinosaur skeleton. As well as a pavilion with a series of didactic activities. Even I wanted to walk with a shovel and a pickax. 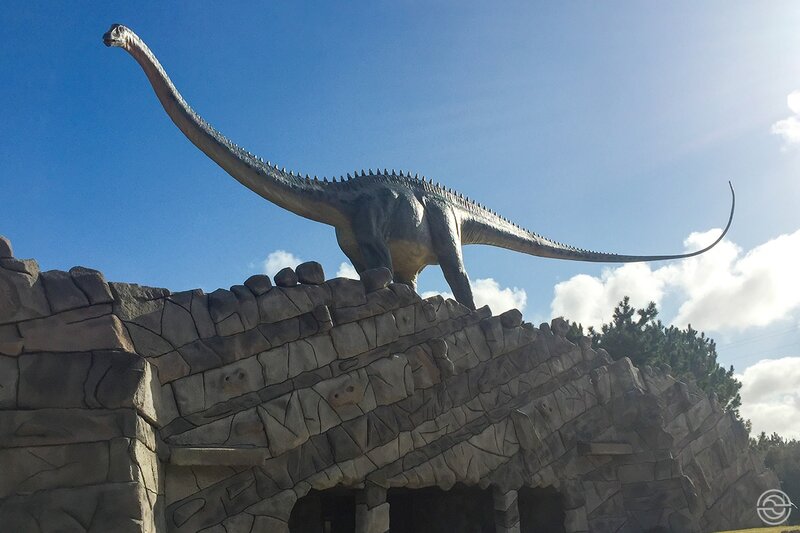 Have you heard of Dino Park before? Are you a lover of these giants? What’s your favorite dinosaur? Share it in the comment box below. Let’s talk!